GEO: How did you first get to know Frank? It was back in the mid-1970s, maybe 1976. We were both part of the Federation for Economic Democracy (FED); he helped organize the chapter in and around Philadelphia, I did the same in Connecticut. There were other chapters in Ithaca and Boston, and the main office was in DC. Our overall goal was to help bring something like the Mondragon cooperative consortium to life in this country. There was great excitement around this initiative, but the effort proved to be short-lived. Around 1978, FED fell apart and only the Boston chapter survived, turning itself into what was then called the Industrial Cooperative Association, and is now the ICA Group – the first of many “technical assistance” organizations in the US focused on supporting worker owned enterprises. I got to know Frank really well during the summer of 1983, when we both attended one of several North Carolina Conferences on Worker Ownership. Shortly after that, we began thinking together, by phone mostly, about putting out a new sort of magazine, one which would attempt to overcome the isolation of different progressive or alternative movements. 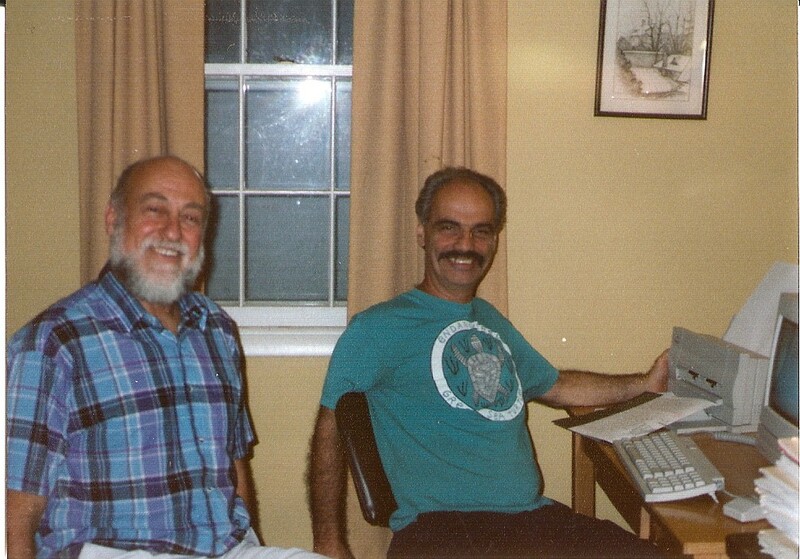 Eventually, we joined with George Benello, who had been the main shaper of FED, and Chuck Turner, at that time the education coordinator of the Industrial Cooperative Association, to create a mock up of the first issue of Changing Work (CW). Copies of this were assembled in a motel room until the early morning, and then distributed at the 1984 meeting, in DC, of the Association for Workplace Democracy. Reactions were very favorable, on the whole; e.g., they praised the “diversity of articles the use of women writers, the international perspective, and the many practical resources”. GEO: What was it like working with Frank in those earlier days? The initial excitement of the FED adventure returned, this time reinforced by the tangible progress worker ownership and workplace democracy had begun to make (see CW #1 “Prologue”, in this issue). For decades, without effort, you gave me both. Our insubordinate plots and reckless plans. How does one twon survive the loss of another? I will find a way, but not without you. Or a book by a burning fire. Or an authority’s presumption needs challenging. Frank brought a great deal of on-the-ground experience to CW, including his experience for six years (1975-1981) with the Jamaican Sugar Cane Cooperatives, and his work with the O&O cooperatives, which had formed in the mid-1980s through worker buyouts of failed A&P groceries in Philadelphia. But beyond this, Frank was perhaps the ideal collaborator, in so many ways. I don’t recall him ever becoming impatient or clashing with any of us, even though some of us could occasionally be quite trying. He had a clear, radical, and majestic vision, which would later crystallize into the “Cooperative Commonwealth” (see Frank’s essay and commentaries on it in this issue). Though he rarely trotted it out, this vision informed virtually all of his daily life and his relationships. He lived it, and spoke only rarely about it, and even more rarely in defense of it. Still, it was as tangible as his constant gentle smile, and could be felt in his genuine appreciation for the ideas and talents of others who were attracted to the work of CW, and later, GEO. I think he made us all feel, whether older or newer members, that we could become architects of this common work. GEO: In What Ways was Frank An Ideal Collaborator”? Frank was indispensable to CW and GEO not only for his experience with workplace democracy, his vision, and his gentle welcoming leadership. In addition, he could always be counted on to do his share, and much more, of the less glamorous tasks needed for our survival. He kept minutes and financial records, did legal work to obtain our tax exempt status, and continuously contributed time to subscription renewal and marketing drives, as well as meetings with potential funders and the seemingly inevitable, or certainly constant, need to seek grant funds. My sense of Frank throughout all those years, more than three decades, was that – beyond being a visionary billowing sail – he was also our ship’s reliable rudder. Assuring that we did not veer from our focus and direction, that we stayed balanced, safe, and afloat. Working in his way without fanfare, often below the surface, unbothered by being taken for granted by the rest of us: Indispensable. Ethan: As long as I live I'll always remember clearly Frank's kind, gentle voice encouraging, sharing, full of hope. A true Elder for our movements, our collective, and for me. I'm honored to have worked with him, to have learned from him, to have shared ideas and dreams with him, and I know that a part of him will always live on in the work that we dedicate our lives to. John: I not only learned a great deal about democratic work from Frank but was also inspired by his "way of being" in the world. Sometimes I feel discouraged because our goal of a democratic and just society seems so far from realization. However, interacting with Frank often energized me. Frank embodied kindness and a patient, persistent optimism that would renew my hope in our common dream. We will miss him. And of course, there is the wonderful letter of Matthias Brown, the cooperative organizer who Frank had worked with in Jamaica (see below). “I cried,” Matthias wrote, “not because you had left, but because I would never [again] get the chance to see the twinkle in your eyes or hear your soft-spoken voice when you tell me many motivating stories”. Mary Belenky has written of a “tradition that has no name”, but is practiced by those who exercise what she called “developmental leadership”: that is, their leadership empowers others, enabling them to identify and realize their own leadership capacities. Belenky included civil rights activist Ella Jo Baker and Myles Horton, the founder and long time coordinator of Highlander Education and Research Center, as part of that rich tradition. Seems to me, Frank’s collaborative leadership should earn him a place in it as well. GEO: What Can You Tell Us About Frank as a Researcher? …as active participants willing to help further the progressive social and economic objectives of the cooperatives. We helped in some of the day-to-day activities of the education staff… Frank spoke with …elected leaders of the cooperatives about crop diversification. He was able to provide some material help as well by donating an old VW bus to transport workers to the education programs. He put the cooperatives in touch with the Philadelphia Quaker organization, which provided three grants totaling almost $10,000 to fund diversification projects. Here’s a story about Frank, which I learned only many years after we had met. Though neither of us knew at the time, we both had attended the same university as undergrads, during the very same four years. At that time in the 1950s, this university made two years of ROTC compulsory for all “physically fit” male undergrads. I complied, begrudgingly, along with all the other males I knew on campus. Frank, however, did not comply. Instead, as a seventeen year old freshman, he demanded and obtained an exemption, citing his pacifist conscientious objections to war. Four years after Frank won his exemption, as we prepared to graduate, student protests against this requirement mounted, a student referendum favored “voluntary ROTC” by a 2 to 1 margin, and academic committees began to meet about ending the requirement. Five years beyond that, it was abolished. “Never doubt”, Margaret Mead famously wrote, “that a small group of thoughtful, committed, citizens can change the world. Indeed, it is the only thing that ever has.” Even at 17, Frank was one of those “thoughtful and committed citizens” helping to change our world, and he remained that way all of his life. Shortly after Frank passed, his wife Kathryn asked if I might want to take home all of his papers, unpublished as well as published manuscripts, notes, and the like. I jumped at the opportunity, and was rewarded with a huge amount of fascinating material that I had no idea existed. Frank had never mentioned to me that he had written a monograph length work, as well as several other shorter pieces, on the ideals, history, and impact of his California free school – and the entire free school movement of which it was a part. Some of those shorter pieces had appeared in magazines such as Win and Edcentric. Additionally, he gave numerous conference talks on different aspects of workplace democracy, with intriguing titles like “Why do Some Co-ops Succeed while others Fail?”; “Promoting Community Development and Job Creation Through Microenterprise Projects”; and “Local Challenges to Globalization: The Case for Sustainable Local Economies”. Several of these articles and papers are informed by a belief close to heart of CW, one which still resonates with GEO as well: that so long as the ”many Yeses” remain divided or isolated, they will find it difficult at least to dislodge or transform the 1%. 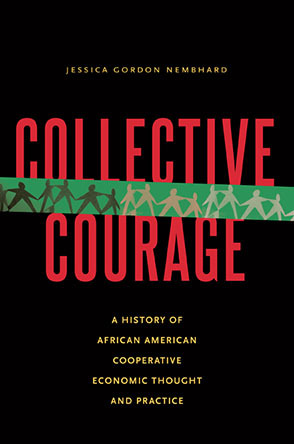 That is, “alternative initiatives”, “progressive organizations”, and “oppositional institutions” – be they focused around intentional communities, democratic workplaces, social justice goals, climate change or LGBT oppression – must find common ground, build bridges, and work in close collaboration if they are to have any real or lasting impact. It would be a fitting tribute to Frank, I think, to edit and publish those among his papers that speak to these “distinctive aims”. GEO: You Call Frank, Your “Brother-in-Life”….How So? Once we had started to produce CW, a strong bond – beyond our work – began to develop between us. For me, it seemed we were virtually brothers, almost twins: born the same year, raised in the same city; being undergraduates at the same university during the same four years; each of us fired from our first college teaching jobs in the late 1960s for voicing healthy disrespect for illegitimate authority; running free schools and democratic learning experiments that threatened those same authorities; embracing the impulse to create multiple cross-border collaborations in order to effectively challenge and move beyond oppressive institutions. Our friendship ran long and deep, and in many ways, and on many, many days, it still animates and sustains me.